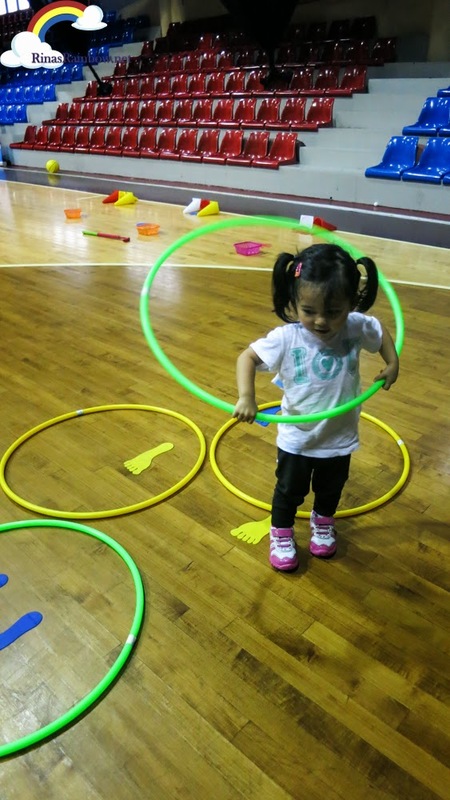 Rina's Rainbow: Ready Steady Go Kids: Sports and Learning, Rolled Into One! 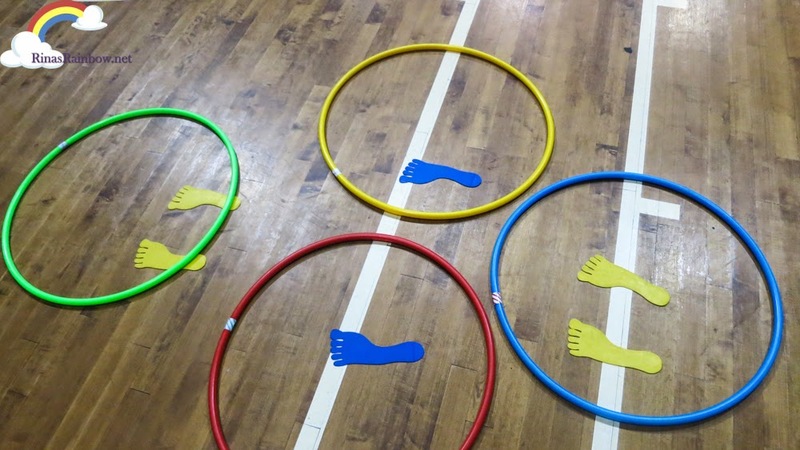 Ready Steady Go Kids: Sports and Learning, Rolled Into One! My little Rainbow is already turning 3 this coming October. Most of the kids here in our neighbor, some even younger than Rain, have already started school in one of the nurseries in our village. And frankly I've been a bit pressured thinking I should also already send Rain to school. But at the same time, I also believe that the traditional schools focuses more on socializing. And I was worried that I might just compare Rain with other kids that might already know how to add. (exaggerating). But something inside me didn't feel that Rain is ready to start real school. 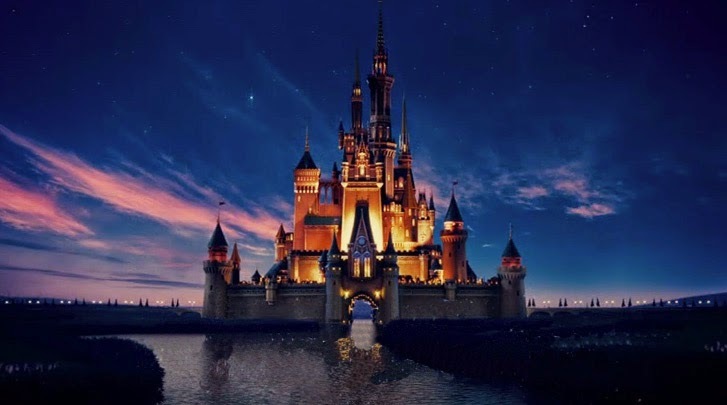 I want Rain to go to a place where she can do some fun activities and at the same time have fun in learning. 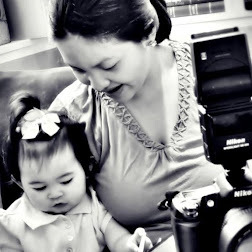 A learning place that she won't be "graded" yet with the number of alphabets or numbers that she memorizes. So now I'm thanking my lucky stars that I discovered Ready Steady Go Kids through the invite of Janice (Mommy Mundo). 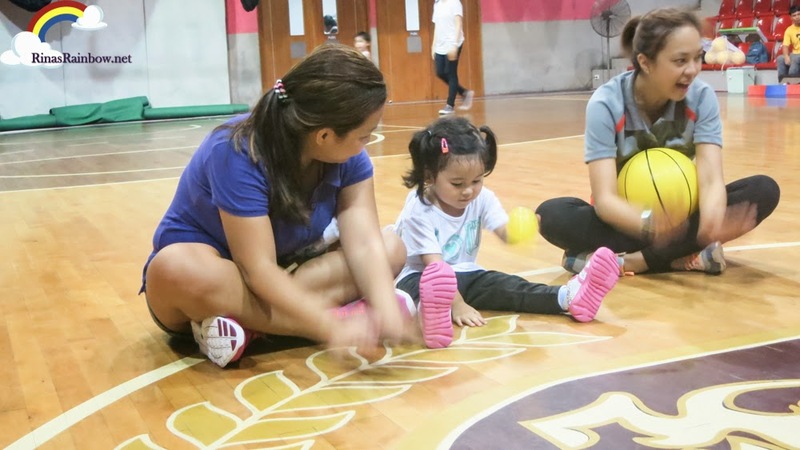 She introduced me and other mommy bloggers to the people who brought this brilliant Preschool sport and exercise program from Australia, and is now operating in more than 150 locations in Australia and across Asia! And I was so happy Rain got to try it! 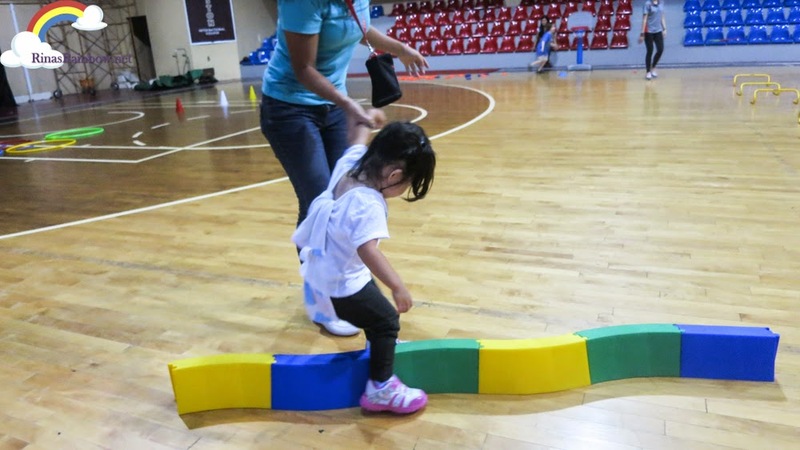 Ready Steady Go Kids or RSG Kids is an awesome program that integrates sports + learning + fun all together. It's not your usual classroom and flashcard and blackboard set up. 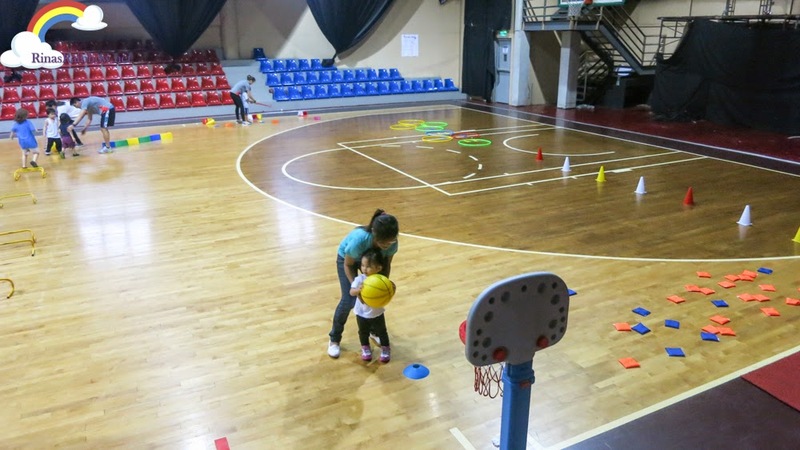 Since the program focuses a lot on sporty activities, the programs are held in covered courts, and two coaches facilitate each session. 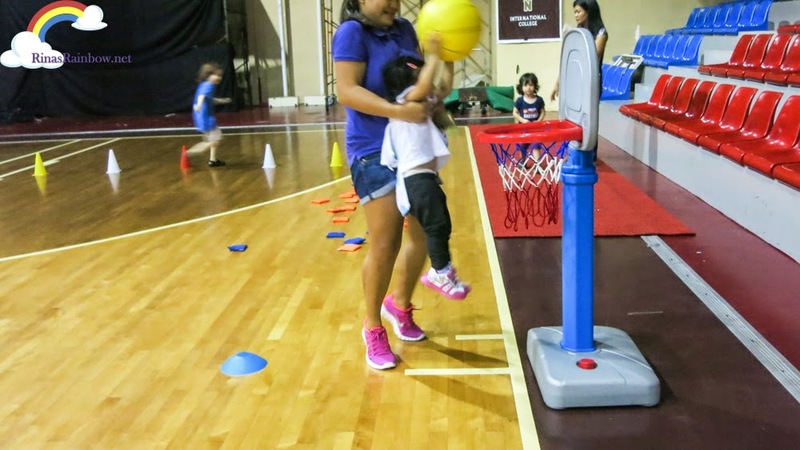 The dream is to introduce your kids to the world of sports so as to promote healthy lifestyle, for kids to develop a life long passion for sports, to help lessen childhood obesity, to give kids confidence, and more importantly for Rain, to prepare her for the real school. 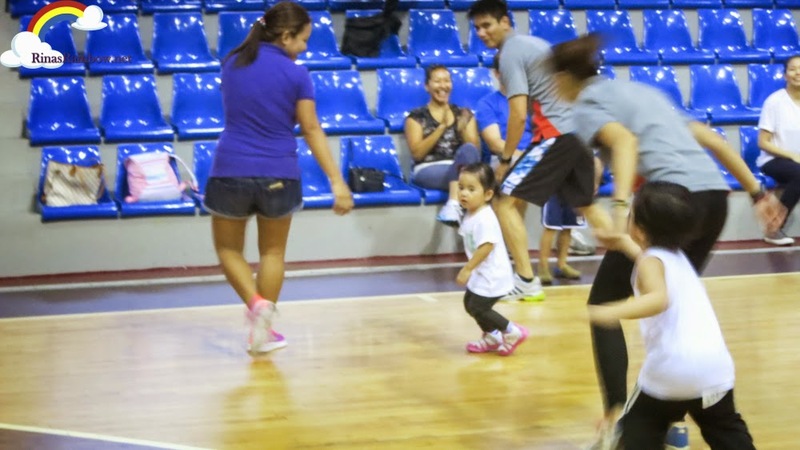 So she'll get more used to playing with other kids and to follow instructions from her teacher or coach. I think this will really give her an edge when she starts the real bigger school. I was so interested that I signed Rain up for a free trial. First thing on my check list? Buy Rain rubber shoes! 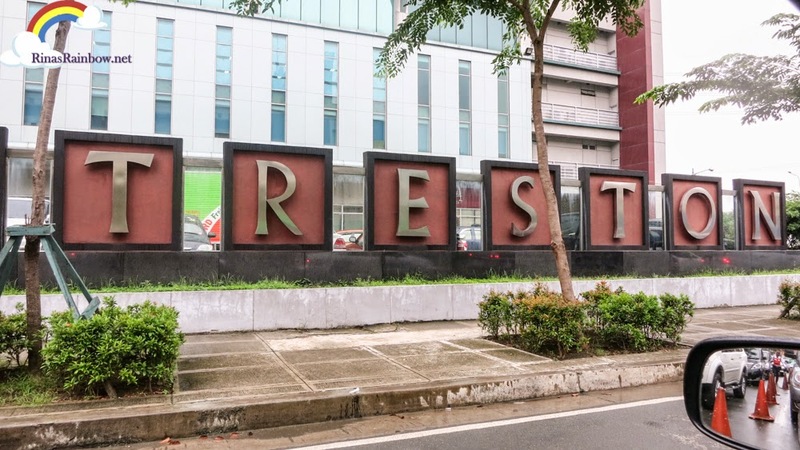 Treston College in BGC. One of RSG's rented basket ball courts. Their other venue is in Valle Verde 5. But I really appreciated the fact that they waited for us before they started! (I really am so sorry for being late!) So anyway, so it begins... First the kids were called to sit in a circle formation and sing a getting-to-know-you song where they say their names. The teachers are referred to as "coaches". 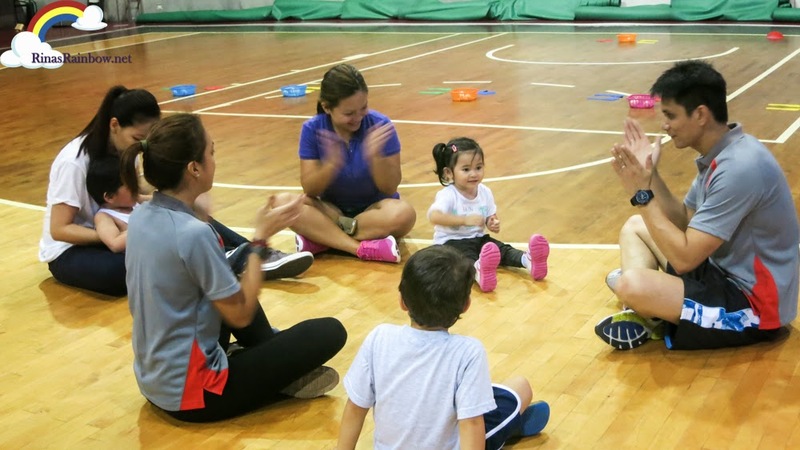 For this session, we were with Coach Meriel and Coach Sonny. Both excellent with kids and have a Level 1 Coaching qualification from Australia. 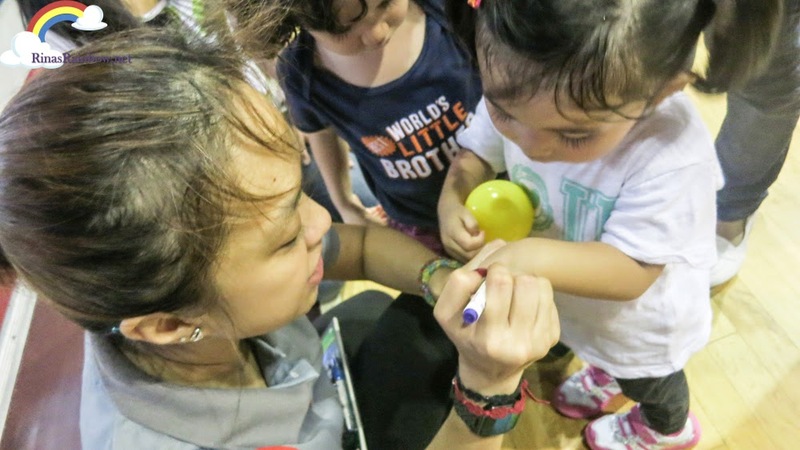 Plus, at least one of the trainers available per session is trained for First Aid for pre-schoolers. This is good to know! First was to sprint, then to hop like a frog, then walk side ways like a crab, hop like a kangaroo, and more. I remember panting a lot after. Hahaha! But I was happy that Rain followed for most parts before she would run again to the other side of the gym towards the toys haha! From time to time they were asked to take a water break. 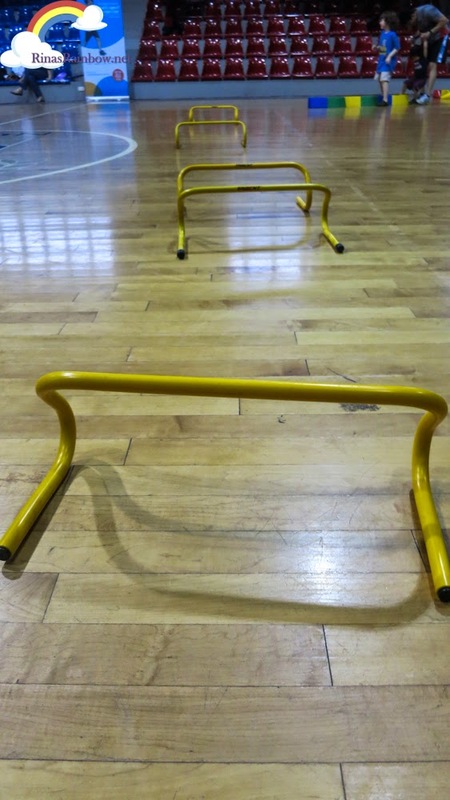 And then it was time for the final activity, the obstacle course! First they take a leap over these yellow plastic thingy... Go Rain! Go!!! 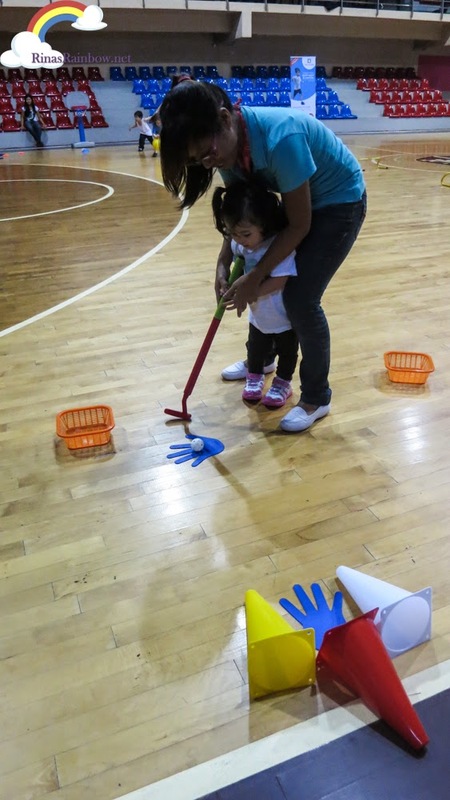 Then like a refresher activity, putt a golf ball inside a cone. But I think she was more in the mood for some hoola hooping. Then next was to zig zag around the cones, then step on the small square pillows "to avoid the hot lava", (both of which I didn't get a photo of)... and then finally, shoot the ball in the hoop! I asked Rain's yaya to accompany Rain in her second obstacle round so I can take the photos. Yes, Rain had so much fun that she wanted to have another go haha! 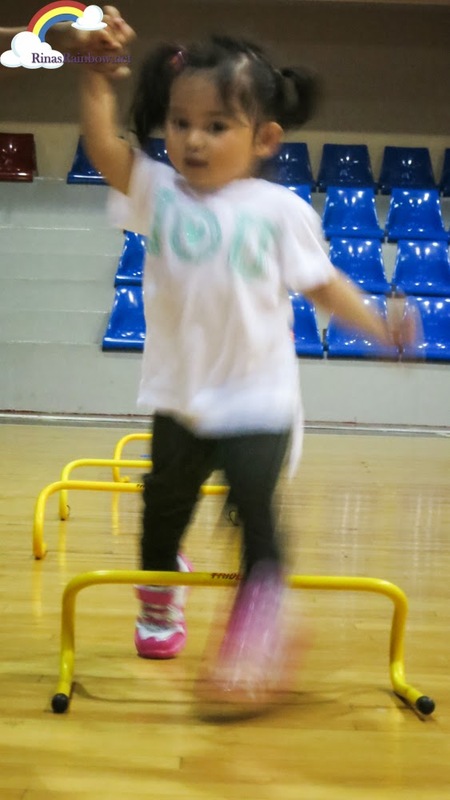 After all the kids had taken their turn/s on the obstacle course, the program was finished. Then it was time for a little cool-down stretching activity on the floor. They all had a final volt-in cheer and congratulated everyone for job well done! 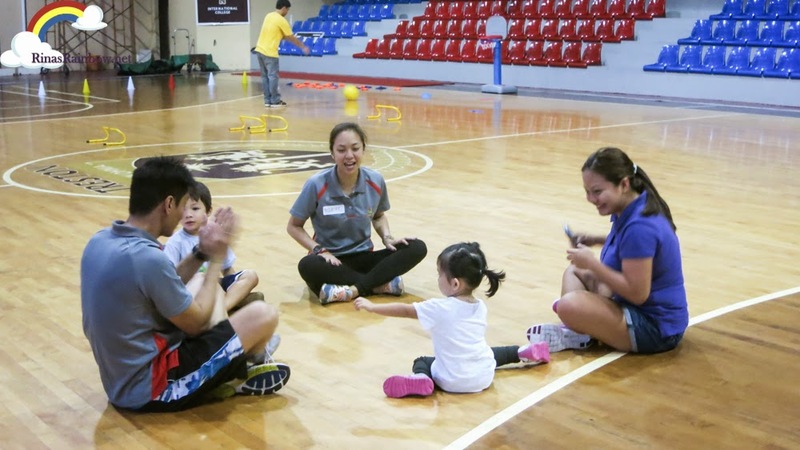 I liked how Coach Meriel and Coach Sonny asked the kids what they learned at the end of each session. Not to "test" them but to let the kids recap on their own, and refresh their minds on today's activities. Rain of course could not understand yet what the teacher was asking, and I couldn't really answer for her haha! But it was a delight to listen to the older kids answer "golf!" or "hit a ball" or "jump like a frog". 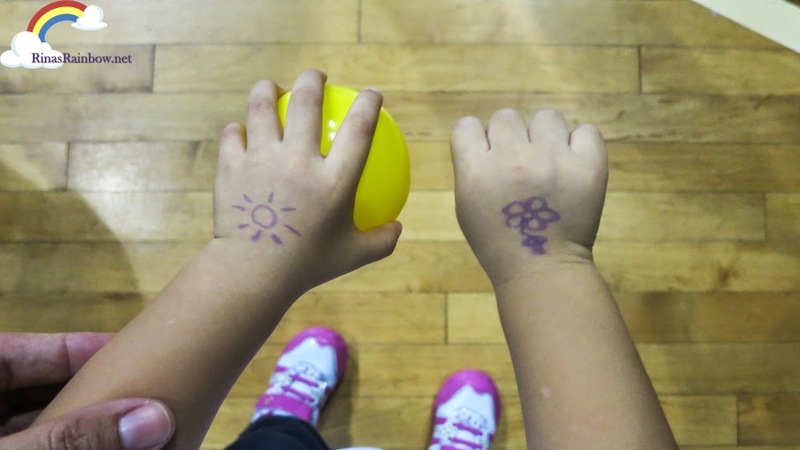 And then Coach Meriel got her washable colored pens and drew fun pictures on the back of the kids hands as a Good Job mark! 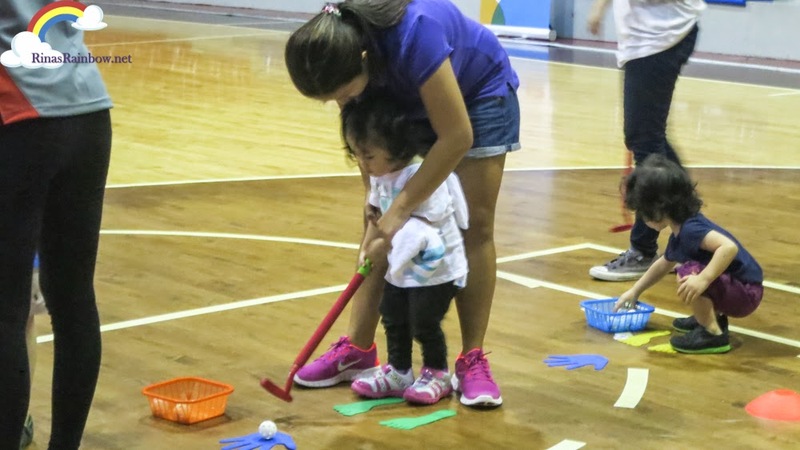 And then in the long run, kids will learn about sportsmanship, playing by the rules, taking turns, encouraging and cooperating with other kids. With all of this, it will definitely help prepare your kids for school readiness because they learn how to listen, follow instructions, and again, already are familiar with some basic colors, shapes, alphabets, and numbers. And last but not the least, hopefully kids will develop the life love for sports through this program. 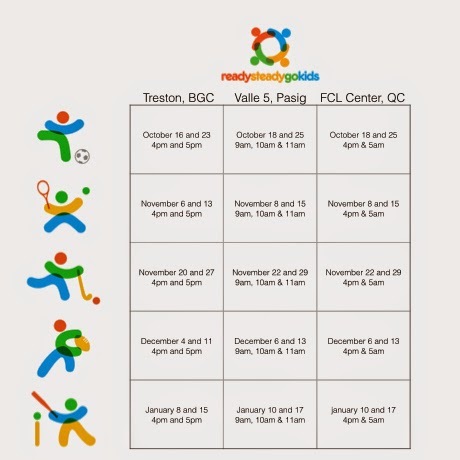 Ready Steady Go has different programs for three age groups. 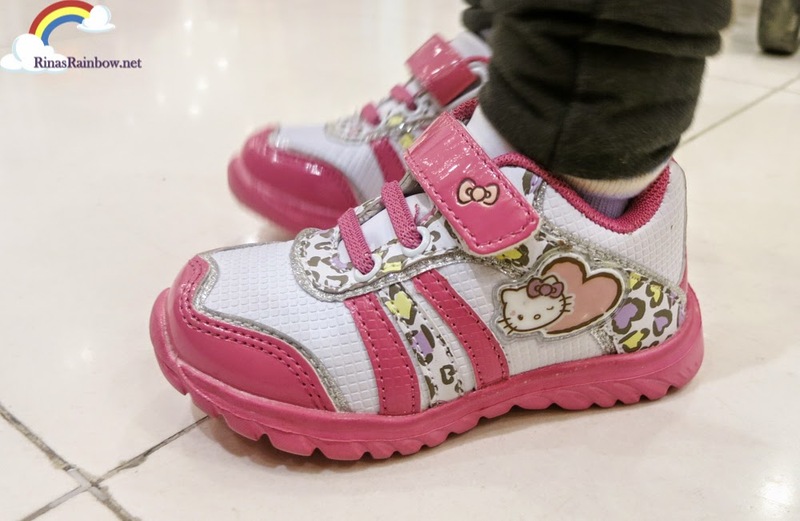 The Ready is for 2 and a half to 3 years old little toddlers like Rain, the Steady is for bigger toddlers 3-5 years of age, and Go for older children from 5-7 years of age. 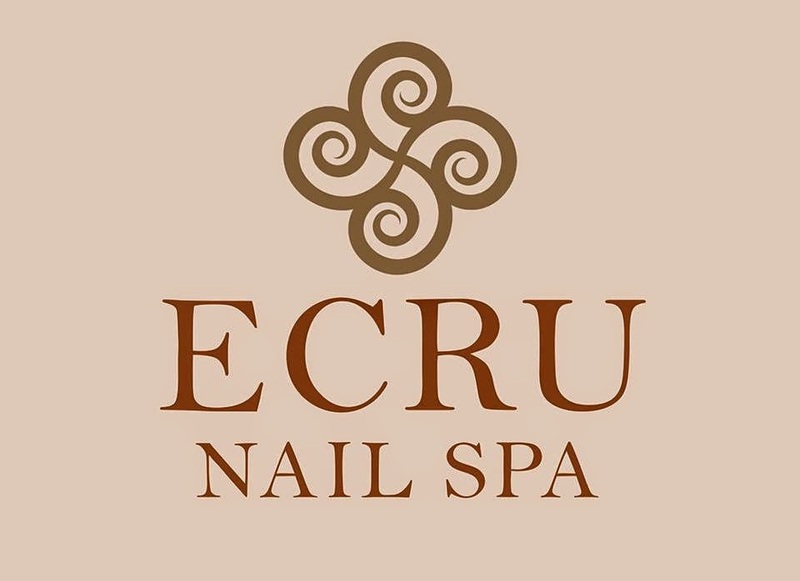 See the exact details of each program here. RSGK reaches the fundamentals of 10 different sports stated in the image above. 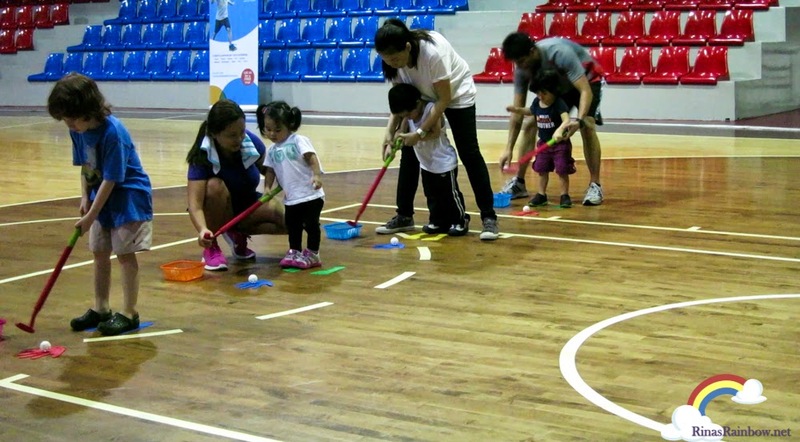 A total of 5 sports per term will be taught to kids. 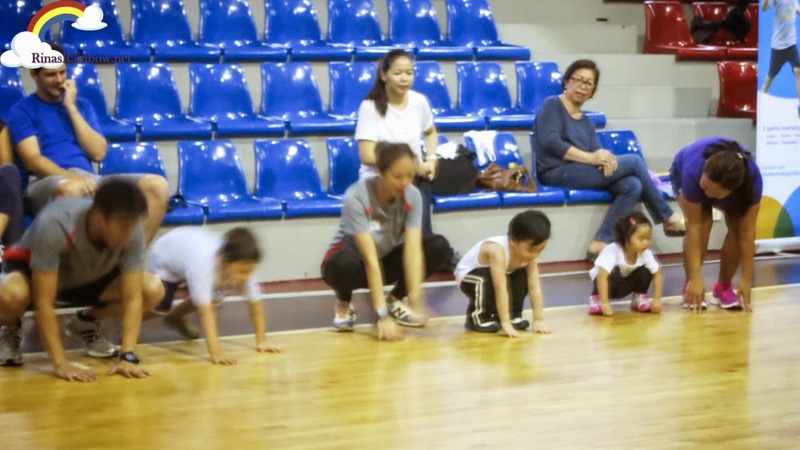 Before getting your child into the game or sports means check out their age for joining into the sports.